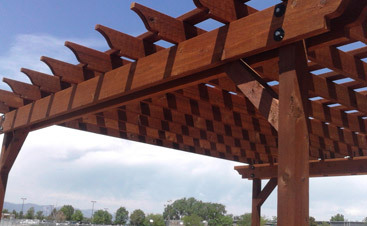 Did you just get a new deck installed by your local deck contractor serving Fort Collins? Now you have a great space to unwind after a busy day or entertain your friends and family. What’s more, the extra time you will get to spend outdoors may help improve your health. A new deck is a win-win for all of those who live in or visit your home. You may be wondering how to keep your deck clean. In the Centennial State, we have all four seasons, which means natural elements in the form of critters and foliage find their way onto our decks. It’s important that you keep your decks clean so that they last longer. 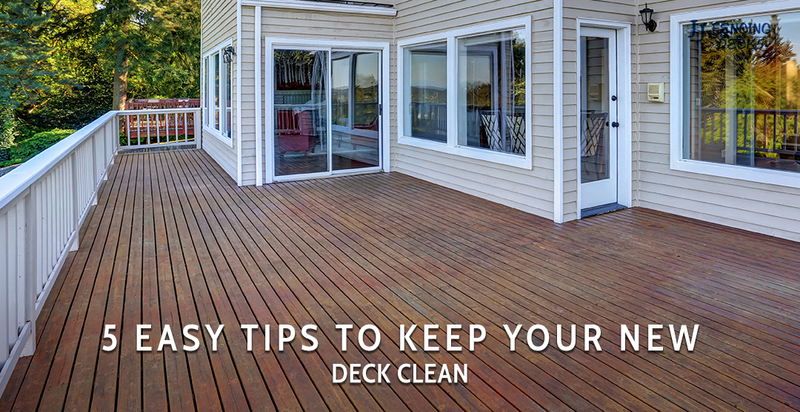 In this article, we’re going to give you some easy tips on how to keep your deck clean. Let’s protect your deck investment together. If you have planters on your deck, the bottom of them can trap dirt and moisture against your deck. Your deck may be wood, which means it will be in constant contact with moisture, and that could eventually lead to rotting. Place your planters on cement blocks or place some kind of barrier between the wood and planter to decrease moisture accumulation. Do you have a barbecuer on your deck? The grease that drips from the grill can stain your deck, and those are some of the toughest stains to remove. Place some kind of grease collector beneath your barbecuer to protect your deck. Every two-to-three years have your deck professionally cleaned and resealed. 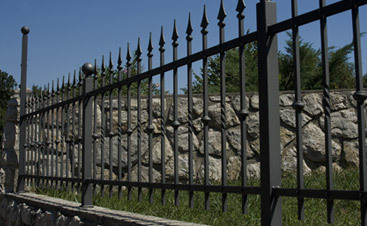 This will help keep your deck looking great, and it will protect it for years to come. Your deck may get damaged. It’s best to get it repaired as soon as possible. A damaged deck may add extra pressure to other parts of the structure, increasing the probability of complete structural failure. Keep you and your family safe. Repair your deck. The solid paint or stain products that you find in your local home improvement store may look great; however, these types of materials will eventually peel from your deck surface. You want to stick with sealant-based paints and stains so that you can accentuate the natural character of the wood and protect it for a long time. 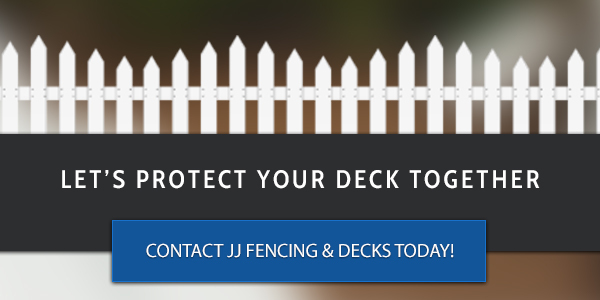 As the premiere deck contractors in Northern Colorado, JJ Fencing & Decks assists homeowners from Fort Collins to Loveland and out to Greeley and Windsor. 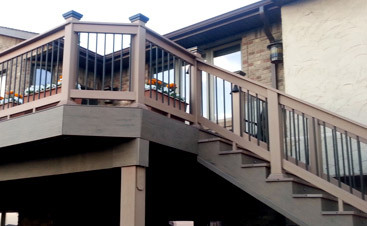 If you want a new deck, we’re the company you can trust. With years of experience, we’re here for you. Contact us today to discuss your decking build project. ©2017 JJ Fencing® -All rights reserved.